Photo: Lower end of Secret Canyon, Nevada. Eastern Mojave Vegetation Lower end of Secret Canyon, Nevada. Photograph taken June 11, 2008. 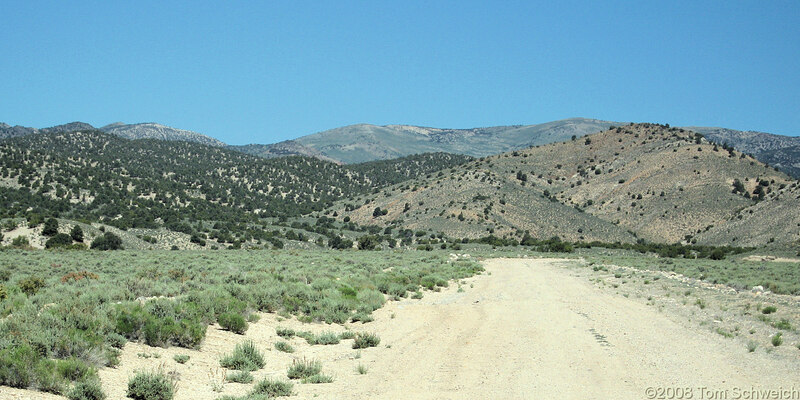 Windfall Mine Road, Eureka County, Nevada: near NV SR 379. Other photos about Geography - Nevada or Nevada, Eureka County.